Mice are problematic as they not only make quite a mess, but can spread disease and trigger allergies. Food Debris is scattered around your Home or Business. You discover Nesting Debris and will see specific traffic patterns. Hearing Scratching or Tiny Foot Steps at night. You find Droppings, small oblong pellets that are pointed at one end and less the 1/32” in diameter. Signs of Chewing on walls, food packages and even floors. Inspect windows and doors for small openings and plug them with steel wool. Clear your property of attractive nesting sites like leaf and wood plies or stacked up debris. 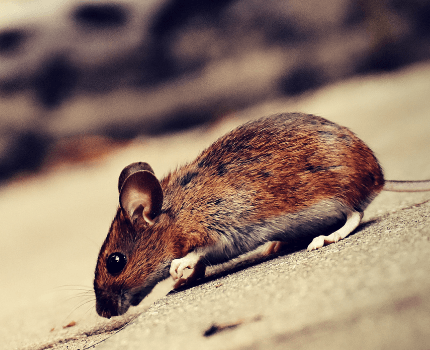 Getting rid of a mouse infestation can be tricky, most materials that Pest Control Experts use are not available for retail consumer purchase. If you have tried snap traps, baits, glue traps, live traps and other DIY solutions and your problem persists, it may be time to contact a professional. For persistent pest problems or new ideas on how to handle the situation yourself, contact our pest management professionals. 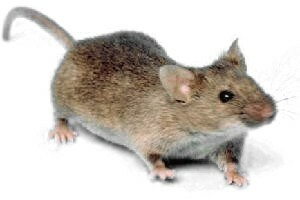 We can help you solve Mouse Infestation in your Home or Business by providing Free Advice, Thorough Inspection, and A Comprehensive Mouse Control Plan that is based on the inspection findings. A very adaptive species, the house mouse depends upon man for shelter and food, particularly in cooler climates, and this close association with humans classifies it as a “commensal rodent” (like the Norway rat). The white-footed mouse or deer mouse is a native species with white feet, white or light-coloured undersides, and brownish upper surfaces. The tail is distinctly bi-coloured; the upper portions brown or gray, the underside white, with a well-defined line where the two colours meet. White-footed mice are about the same size as, or slightly larger than house mice and, at a distance, may be confused with house mice. The bi-coloured tail differentiates one from the other. 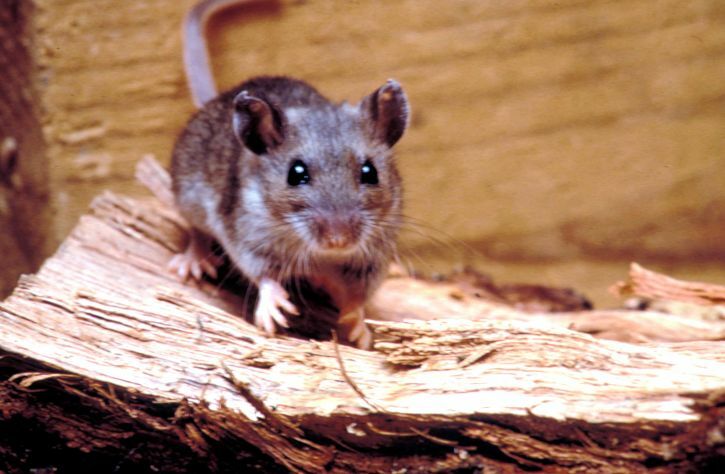 In comparison to house mice, white-footed mice have larger eyes and ears. They are considered by most people to be more “attractive” than house mice, and they do not have the characteristic mousy or musky odour of house mice. The field mouse, or meadow vole, is a compact, stocky rodent with short legs and a short tail. Its eyes are small and its ears are partially hidden. 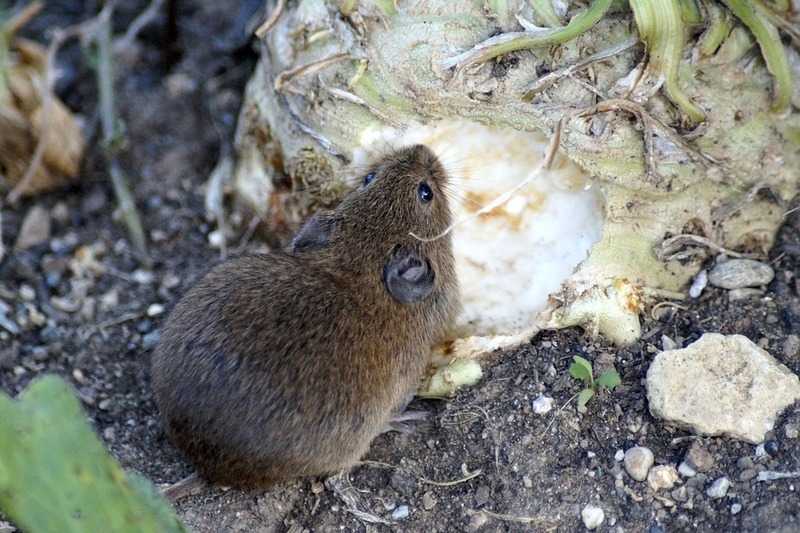 The meadow vole has a dense undercoat and is the darkest-coloured mouse, ranging from dark gray to yellow-brown or red, obscured by black-tipped hairs. The meadow vole is rarely seen higher than ground level for it does not climb walls, roofs or attics, etc. like other mice.